They say everything is bigger in Texas, and in my experience as a business plan writer, this may be true. After servicing hundreds of business plans clients in Texas, I have seen some pretty big businesses come out of the Lone Star State. As a full-time business plan writer I have remote offices in Dallas, Texas and Austin, Texas. In fact I have received the nickname The Texas Business Plan Writer. I have written business plans for hundreds of businesses across the country and many of them in the great state of Texas. I have had the opportunity to be a business plan writer for clients in Austin, Dallas, Houston, Fort Worth, San Antonio, and more. My business plan writing services have clear and upfront pricing. My pricing for a full business plan starts at $350 and range up to over $1,000. To see all of my business plan writing packages, click here. First you retain me by making the first half payment of the business plan price. To see all my business plan writing packages, click here. Then I get answers to my standard business plan questionnaire. You may fill out this questionnaire beforehand and send it to me to speed up the process. If not, I simply have a phone call with you to get the answers myself. This is our considered our first consultation. Now it gets easy for you! 7 days later I deliver the first half of the business plan and you remit the second payment. Then we have our second consultation. In this consultation we will go over the first half of the business plan and make sure it is on track. You make comments and suggest revisions, if needed. I deliver the final business plan 7 days from the time you made the second payment. We have a third consultation to go over any revisions that are needed and to make sure you are happy. You have 7 days to come back to me from the time I deliver the final plan for any reason to revise the business plan. What Types of Business Plans Can The Texas Business Plan Writer Help With? Regardless of whether you are trying to start a solar farm in a rural place on Texas land or you are a cowboy or cowgirl looking to expand your Texas ranch, I can help. I have written so many different types of business plans that I am positive I can write your business plan. It doesn't matter if you have a local Texas based business or an international operation. I can help. Regardless of whether you are a Texas-based startup or someone looking to start a business in Texas, I can help. I can also form your Texas LLC or Texas Corporation and much more. See all the different types of business plans I write by clicking here. Getting in touch with The Texas business plan writer, aka Nick, is easy. Simply text my cell phone at 203-685-0346 or email me at CervitudeNetwork@gmail.com, you may also call my cell phone at any time. Please leave a message if I do not pick up as I am probably working on a business plan or forming a Texas Corporation or LLC for a client. Who is The Texas Business Plan Writer? I'm originally from Connecticut but now I live my life remotely. I graduated business school from the University of Connecticut and law school from The John Marshall Law School in Chicago. I worked at the New York Stock Exchange and Merrill Lynch on Wall Street. I have started several successful businesses and now I am a full-time business plan writer, also known as the Texas Business Plan Writer. 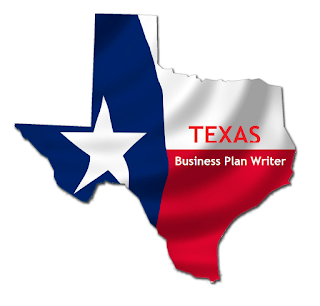 What Other Services Does the Texas Business Plan Writer Provide? I offer other business services including company formations, forming non profits, trademark registrations, simple website design and more. Don't be shy, reach out today to start the conversation with me.